Feed the Children, like several other nonprofit organizations, is a recurrent subject for analysis in NPQ—for all the wrong reasons. When charities fail at doing good, it hurts us all. Their actions may not always be criminal, but as NPQ asserted recently in its review of the latest assessment of the Wounded Warrior Project, issued by U.S. Sen. Chuck Grassley (R-IA), they nevertheless appear to “break faith with the public.” As a sector, we need to try to understand the wounds and heal them. Further, the ways in which these sleights of hand were accomplished do not tell the story of an incompetent organization as much as a relatively savvy one, picking and choosing what it needed to be careful about (reporting, rather than actual spending) and generally lacking a mission-centering ethical compass. 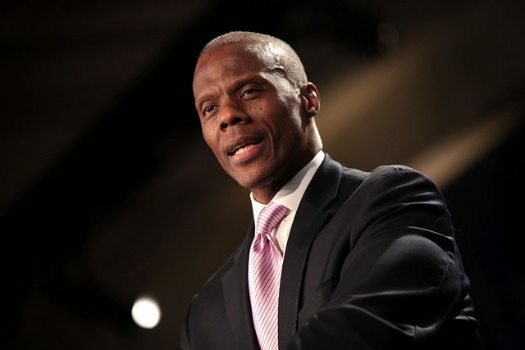 We last addressed the ethical issues at Feed the Children in April, when its former CEO, J.C. Watts, sued the organization’s six directors for firing him nine months into his three-year contract in retaliation for reporting perceived problems and irregularities to the state attorney general’s office. Watts is seeking actual and punitive damages. Feed the Children’s directors recently responded with their own accusations. The contours of the story changed. Watts’ claims were enough for the AG’s public protection unit to begin an inquiry with Oklahoma County District Attorney David Prater assisting as a special prosecutor. From the strength of Feed the Children’s answer to Watts’ lawsuit, it would seem there was nothing wrong that a good consultant could not help fix. In a court filing last week, Feed the Children directors alleged Watts’ conduct while working for the organization last year was “insubordinate, dishonest, and improper.” They said he was fired for legitimate business reasons. “Significantly, during his nine months of employment, plaintiff’s ‘efforts’ resulted in less than $14,000 in fundraising,” the directors claimed. The American Institute of Philanthropy [now CharityWatch] named FC its Most Outrageous Charity of the Year in 2009 for overstating its aid to Haiti. By then, many observers documented overstatements as par for FC’s course, along with out-of-control fundraising costs. In fiscal 2008, for instance, only 21 to 23 percent of its cash budget was spent on program services, and $63 to $65 was spent to raise each $100 cash contribution.